You might just find yourself being bored with that old Persian rug in your entryway after seeing this awesome short video. We don’t know much about it other than the people in it are speaking Dutch, and the digital rug that the little girl is running on is completely fantastic. The rug actually appears to be a projection from above. 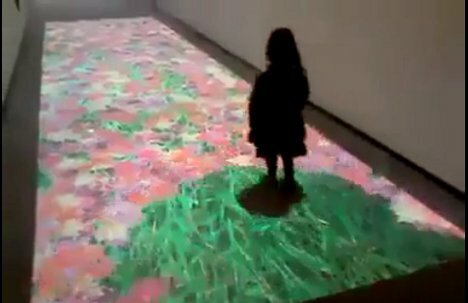 It’s interactive so that when someone walks across the “leaves” they part and show the “grass” beneath. The illusion is very convincing and the movement of the leaves is truly beautiful. We’d love to see a customizable commercial version of this so you could program the floor projection to show whatever you desire. See more in Audio & TV or under Gadgets. February, 2012.